Jessy Grossman (@socialmediaagent) has made a career out of connecting the right people and is passionate about supporting women in business. Beyond her work with WIIM, Jessy is the CEO of Boldstreak, a social first talent agency in NYC. Prior to Boldstreak she created the social media influencer department at Don Buchwald & Associates, a bi-coastal talent agency in its 40th year. Jessy procures and negotiates opportunities for social media talent to monetize their large social media following with major brands and media companies. Jessy’s deals create lucrative opportunities for her diverse client list to create buzz worthy entertainment that engages audiences and drives profits for companies like Unilever, Johnson & Johnson, Walmart, Volvo and others from start-ups to Fortune 500s. Since 2009, Jessy has been at the forefront of the digital content revolution. Building on her technology prowess and experience in production, Jessy’s talent representation has led to the creation of new business models and exponential revenue growth for her clients. Morgan Kaye (@morganbkaye) leads Influencer Marketing at Dollar Shave Club, a lifestyle brand and e-commerce company that’s revolutionizing men's grooming. With over 10+ years in influencer marketing, Morgan is responsible for all influencer campaigns including ideation and execution, influencer partnerships and community growth. Prior to joining the Dollar Shave Club team, Morgan held similar responsibilities as VP of Studio & SaaS Strategy at the leading influencer marketing platform, ACTIVATE f/k/a Bloglovin', and was Senior Director at Mode Media. In addition, Morgan has extensive business development experience from more traditional media companies such as Viacom and Dreamworks. Morgan loves working within the influencer market, and has previously been a speaker at ALT Summit, Generation Beauty, and Simply Stylist as well as hosting her own Skillshare Course, ‘From Blog To Business: Content Community, and Working with Brands’. She has also been featured in Adweek, Entrepreneur and WWD. Reesa Lake (@reesalake) is Partner, Executive Vice President of Brand Partnerships at Digital Brand Architects (DBA), where she leads development with brands, agencies, publishing houses, and digital networks, amongst others. With over fifteen years of media experience, from traditional print to television to digital, Reesa is one of the foremost experts in branded content and integrations, marketing and branding. Prior to joining DBA, Reesa served as a Producer for NBC's Great American Health Challenge and led sponsorship sales for live events. She started her career in public relations creating and implementing strategies for brands including Yigal Azrouel, Donna Karan Hosiery, Fred Leighton, Gwen Stefani¹s LAMB and Harajuku Lovers brands and more. She lives in Connecticut with her husband and their son. 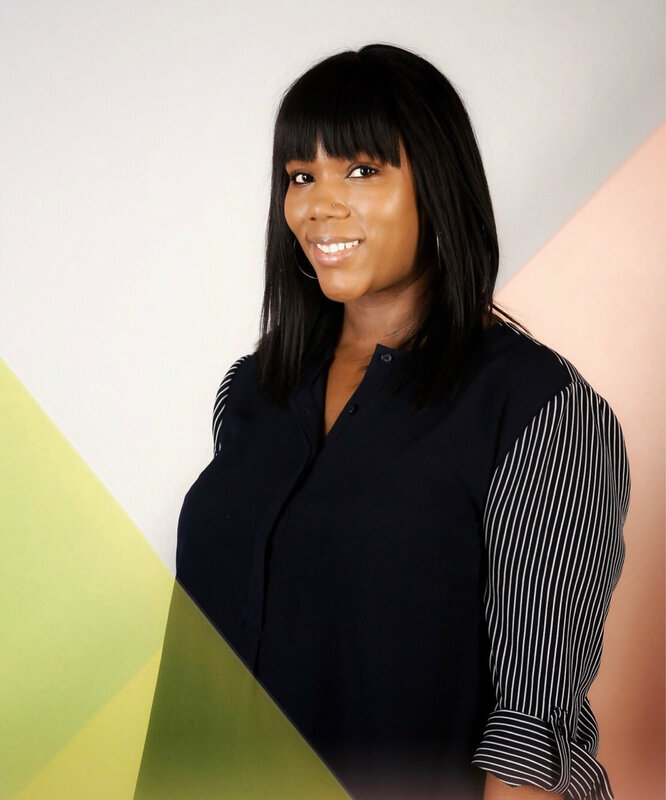 Natalie Tuffuoh (@nataliatnt) is Brand Marketing Manager at chloédigital where she leads the marketing division in brand partnerships, influencer community growth, and brand and comms strategy. With a passion for creative, branding and marketing, her main goal is innovate the influencer landscape and continue to work with inspiring like-minded creatives. Through working at CD, Natalie has helped grow and scale the community and currently works with over 400+ influencers alongside TeamCD. Prior to chloédigital, Natalie worked at Lyst within branding and communications and this is where her love for all things digital really became evident. Working alongside some of the industry’s most exciting brands and influencers, she curated fashion content for a global audience as well as supporting on shoot production and branding. With a career starting in Fashion PR and a degree in Fashion Journalism, Natalie has a strong love for dissecting, brainstorming and innovating ways in which we can adapt to the changing and evolving market, and how individuals can make their voices heard in a industry that is never quiet. Amy Choi (@achoi88) is currently the Head of New Business and Sales at ShopStyle, where she spearheads and facilitates influencer and brand partnerships backed by conversion insights and sales data across fashion, beauty, and lifestyle verticals. With her deep love of the evolving influencer marketing landscape, Amy gets a thrill from creating holistic strategic partnerships and integrated campaigns for her brands and clients. Prior to ShopStyle, Amy was the Director of Digital Strategy at Siren PR, leading and growing the agency’s first ever social and influencer marketing division for mass, luxury and global beauty brands – with clients such as TRESEmmé/Unilever, Nordstrom Beauty and L’Oreal brands. Amy’s career started at one of the first social media agencies in the market, ATTENTION, when only social media platforms Facebook and Twitter existed during that time. There, she developed and implemented the digital and social strategy for various global brands including, Mattel – Barbie, Diageo – Smirnoff & Guinness, Pepperidge Farm, Sports Authority, Seventh Generation and Michelin Guides. With over 9 years of industry experience, Amy has a deep understanding of the digital space and emerging social trends, as evident through her extensive experiences conceptualizing strategic and innovative marketing campaigns that drive buzz, build brand equity and fosters ongoing online engagement. Claire Collins (@daclairecollins) leads the North American operations of Gleam Futures, a management agency specializing in digital-first talent. Claire moved to Los Angeles from London in 2010, joining StyleHaul, the largest multi-channel video network in the fashion and beauty space. There she developed the careers of international social talent and spearheaded revenue-driving branded content and digital campaigns with brands including L’Oreal, Unilever and GAP. Claire’s specialty lies in seamlessly integrating traditional fashion and beauty brands with digital influencers. In her role at Gleam, Claire manages the careers of leading digital stars including Claire Marshall and Claudia Sulewski. She inks multi-platform global branded content deals and constantly stirs her clients and their personal brands, growing their reach and engagement on social media platforms. Closely connected to her counterparts in Europe, Claire works with major UK talent including Zoella, Pixiwoo, and Tanya Burr. Gleam expands their social media influence into the creation of consumer products and original IP. In a wide-ranging career, Claire has worked in-house for Benefit Cosmetics, LVMH in Europe, producing and managing global marketing campaigns and product launches. 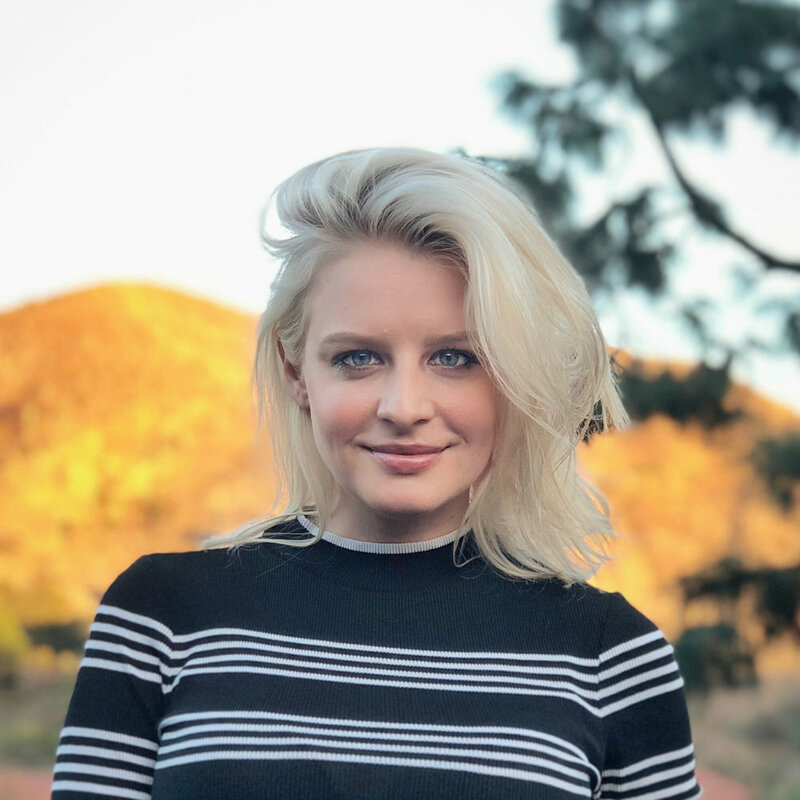 Emily Lundquist (@emilyalundquist) leads social media and influencer marketing on the corporate team at L’Oreal USA, identifying and driving strategic initiatives to support 35+ brands in the portfolio. Previously, she managed social and influencer marketing at NYX Professional Makeup, a subsidiary of L’Oreal and a global brand now found in more than 70 countries. In that role, she was responsible for creating innovative go-to-market campaigns across social platforms, reaching nearly 15 million followers. Emily kicked off her career at StyleHaul, a pioneer in digital content and influencer marketing, spearheading social media strategy for their original content series and marketing campaigns for clients such as Maybelline and Nasty Gal. She earned her MBA from Loyola Marymount University, and holds a BA in English from UCLA. When she’s not doing yoga and scrolling Instagram (not simultaneously), she loves writing, and has penned articles for LMU Magazine, the LA Weekly and The Daily Dot. Sarissa Thrower (@rtotheissa) is a seasoned digital and entertainment communications professional possessing more than a decade of experience building, implementing, and executing on strategic media relations campaigns. During the course of her career, Sarissa has worked on communications and PR efforts for dozens of major brands, including Disney, Nintendo, Warner Bros., L'Oreal, Viacom, Electronic Arts, and many more. Currently she works as a Creator Comms lead on the Video Communications team at Facebook. Sarissa has a B.S. in Communications from Cal Poly Pomona and lives in Los Angeles with her husband, Willis, and their dog, a terrier mix named Linus. Outside of work, her interests include going to live events of all types (concerts, sporting, performance art, you name it), trying new restaurants and wine bars, and the Internet.